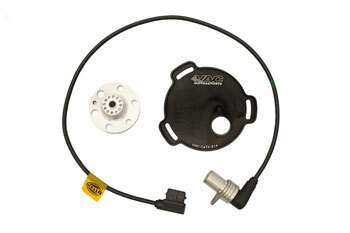 When running sequential injection, the ECU must have a cam trigger signal to reference the camshaft timing. Our VAC kit provides the customer with a simple, reliable camshaft timing signal, that bolts on and is serviceable in minutes. Used on many of the worlds fastest S14s, we desinged this for our excellent MoTec M4 kit for the S14 but it can be used for any job that requires it.